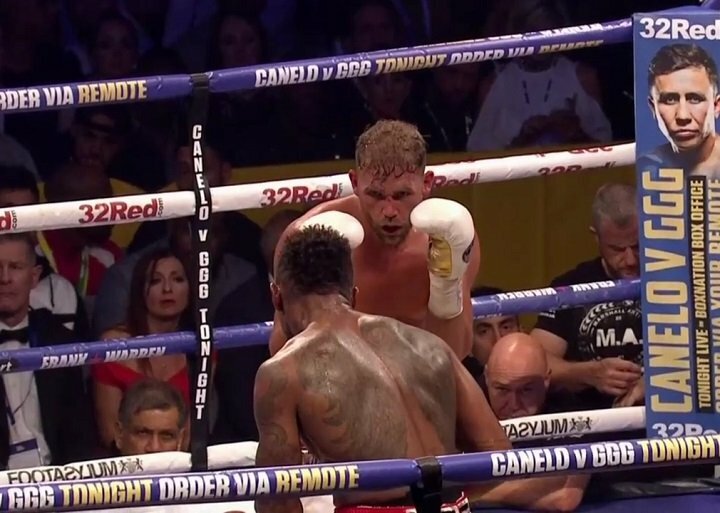 Billy Joe Saunders retained his WBO middleweight title last night, with a less than thrilling, but wide decision win over Willie Monroe Jr. and now the unbeaten southpaw is planning his next fight for December. Saunders has long since been calling out Gennady Golovkin, the man who holds all the other belts at 160, but speaking at last night’s post-fight presser, as quoted by Nick Parkinson of ESPN.com, Saunders said he doesn’t think GGG – who of course boxed to a controversial draw with Canelo Alvarez in last night’s massive bout – will be ready to fight again as soon as December. Saunders has another name opponent in mind in case this turns out to be what happens: Amir Khan. READ What Now For Amir Khan? Saunders calling out Khan might be a pretty big shock to many, seeing as how Saunders as never before spoken about wanting a fight with the former 140 pound champ. But stranger fights have happened (Canelo-Khan for example) and maybe Khan, who says he wants to fight again before the end of this year, will accept Saunders’ challenge. Or maybe Khan will have bad memories of fighting anywhere near the middleweight limit and will opt to return to action as a welterweight. But nobody yet knows what Golovkin’s next move will be. Under rematch clause contract GGG is obligated to give Canelo a return fight should the Mexican star desire one. Time will tell, but if GGG does take any other fight than a Canelo rematch next, he might decide he wants that WBO belt that currently belongs to Saunders. Previous boxing news: Is Golovkin-Canelo destined to share the fate of Leonard-Hagler?